The biggest mistake people make with conversion rate optimisation is not having a well-defined process to ensure a systematic approach to improving success metrics such as revenues or sales. Without such a process you are almost certainly going to fail to fully benefit from A/B testing and achieve consistent and sustainable gains in your conversion rate. Conversion rate optimisation is far more than running experiments, it requires a systematic and evidence based approach to improving your digital customer experience. 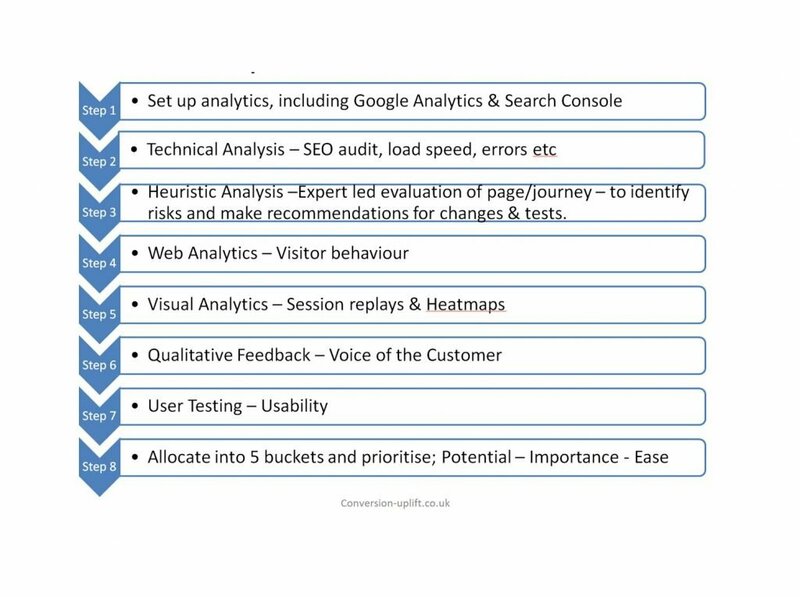 Follow this eight step approach below and you are much more likely to see measurable and significant benefits from conversion rate optimisation. Step 1. Start Measuring Visitor Behaviour. You can’t improve what you don’t measure. It’s critical that you have web analytics on your site to monitor unique visitor numbers on all your pages and begin measuring conversion goals such as downloads, registrations, add to basket and other relevant transactions. Once you have your web analytics integrated and goals set up you can start to see what visitor numbers you have on different pages and how your conversion rate varies from one page to another. This will guide your attention in setting up a conversion rate optimisation programme. You can focus on the pages that matter and identify if you have sufficient traffic to conduct A/B tests to compare the performance of different designs. 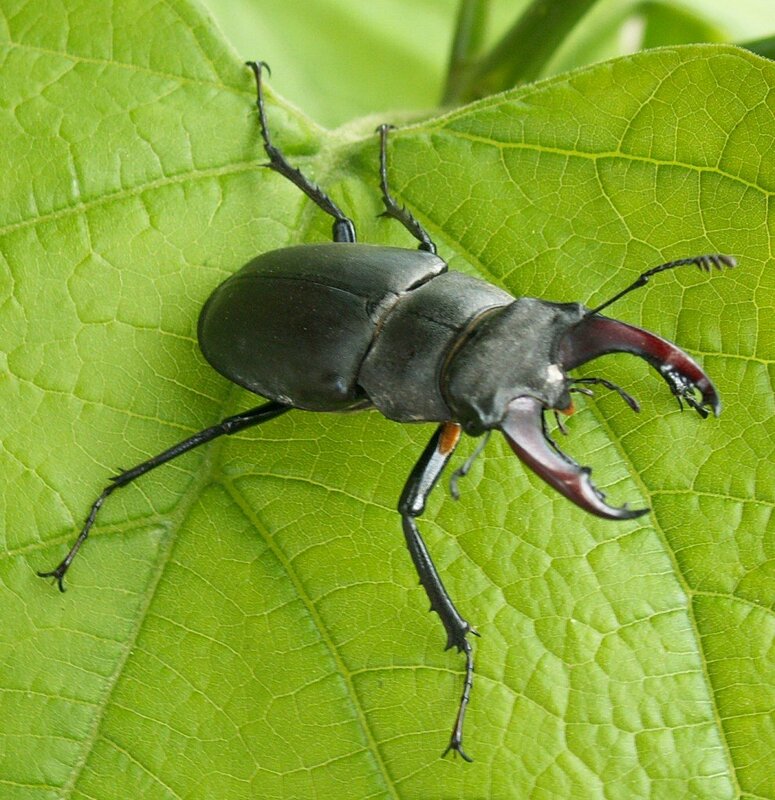 Ok, so your site is slow to load, you have a few bugs on your website and intermittent downtime. Poor page load speed has a direct impact on conversion rate optimisation and can be resolved using well defined strategies. Bugs and outage time create anxiety and frustrations which will destroy trust and credibility in your site. Unless you fix these problems first you will not fully benefit from improvements to your site. It is imperative that you give priority to resolving these issues before trying to optimise your site via A/B testing and improvements in functionality. There are some great tools like BugMuncher that allow customers to inform you of problems with your customer experience, but don’t rely on visitors to tell you about problems as the vast majority won’t and will just go to one of your competitors’ sites instead. Load speed is important because we all have limited patience and many visitors will exit your site if it takes more than a second or two to load. Google rankings also take into account site speed and so your SEO will also suffer if you have a slow loading site. Go into your Google Analytics account and select Behaviour > Site speed > Page timings. Choose the Document interactive time as your key metric as this measures the time it takes for the site to be usable. This is more relevant than the content load time as that measures the number of seconds until every element on the page has been loaded. As a rule of thumb if your site loads within 3 seconds that is pretty good performance. More normal is between 4 to 7 seconds, but don’t be satisfied with that, look to reduce it. Anything more than 7 seconds and you definitely should be looking to take action to reduce the time your visitors have to wait to interact with your website. Begin by looking at those pages with the highest amount of visitors so that you focus on where you can have most impact. Use Google Developers PageSpeed Insights or alternative tools to investigate how to improve page load times. Put your score into context create a league table by getting your competitors’ speeds for a comparative page. This will also identify which competitors have the fastest load speed and so you can explore how they achieve such quick interaction times. Despite our best intentions it is unlikely that your website user experience and functionality will work perfectly for all browsers and devices. Use your web analytics to see how your conversion rate varies for each type of device by all browsers you support. This will help identify where your customer experience and functionality is not what it needs to be for each device. Running reports across device is not sufficient as averages will hide the real performance of your site. Use one of the many cross-browser testing tools on the market to evaluate how your site behaves in each of the browsers you support. These tools will save you a lot of time and money be allowing you to quickly see images of your website across multiple devices and browsers. The Lift Model is a a great tool for conversion rate optimisation. Use it to help undertake an experience-based heuristic evaluation of the potential shortfalls of your customer experience. This is best carried out in a group of 3 or more people to benefit from the different experience and skills in your organisation. Involve people from key areas of the business that assist you in the process of making changes or developing new designs. whole testing process run more smoothly as people generally respond positively to a collaborative approach. 1. Value proposition – What is your value proposition communicating to visitors, both in terms of points of difference from your competitors and from a psychological perspective to motivate them. 2. Relevance – how relevant is the content to the user, does it meet their expectations, how does it relate to the source of traffic? 3. 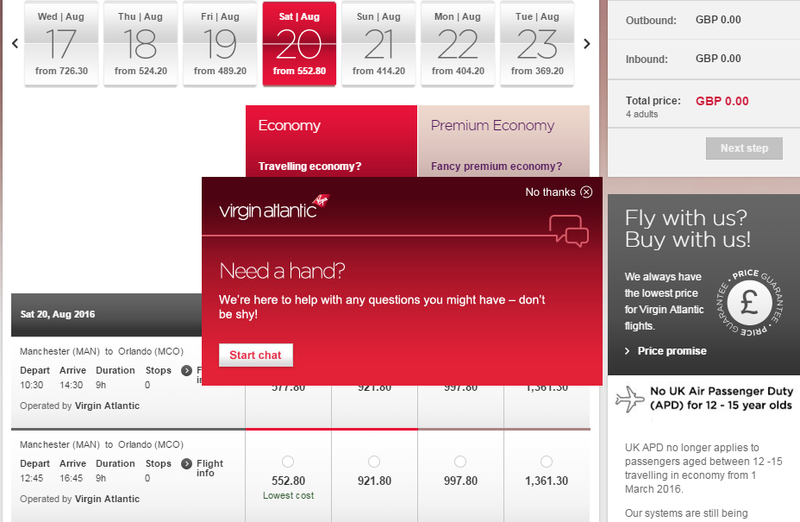 Clarity – how clear are your messages, what the next steps are, the visual hierarchy and CTAs? 5. Distraction – what content is not assisting conversion and may be distracting visitors? action now rather than later? Getting the most out of you web analytics is crucial for conversion rate optimisation. Don’t assume your web analytics are measuring everything perfectly and where possible use multiple analytics tools to validate your findings. You are bound to find some issues with how your analytics are set up, and get your developers to investigate and rectify these problems when you can. Averages lie so always segment your reports using appropriate metrics such as user type, source of traffic, demographics etc. One you have set up goals, segments and events in your web analytics you should also establish conversion funnels to identify drop-off points. Where do most visitors arrive on my site? What are the most popular user flows on my site? visited pages by new and returning visitors? Where are the biggest drop-off points in user journeys? conversion rates compare for your pages with the highest amount of traffic? For more details about using web analytics for conversion rate optimisation see my post; 18 free and paid for web analytics solutions. This includes an explanation of how to get the most out of your web analytics and has a summary of each of the top solutions. It is essential to get a visual perspective of how visitors interact with your site as numbers don’t tell you everything. 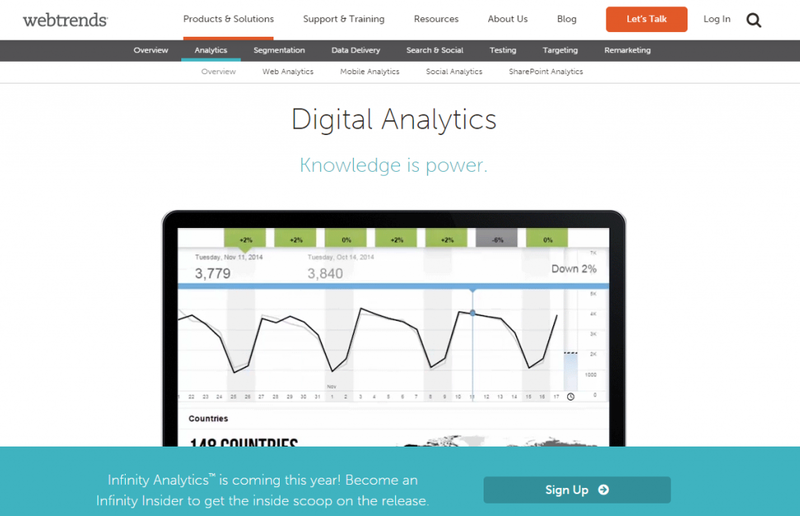 Get access to click heatmaps, session recordings and form analytics for your site. I use Hotjar which is a highly cost effective conversion rate optimisation tool as it also features user feedback polls and surveys. For a summary of how to use these tools and entries for the top providers check out my post on visual analytics solutions. These heatmaps provide an indication of where specifically on a page users focus their attention, what they hover over and what they click on. You can usually include the average fold height and scroll reach on the heatmap to see how this impacts upon user behaviour. If visitors are not clicking on a CTA or widget on the page this will show you what they are engaging with. Use these heatmaps to challenge or support your heuristic evaluation of a page. But make sure you have a sufficiently robust sample size, usually around 2,000, but ideally more like 5,000 visitors, to provide a reliable measure of user behaviour. Scroll heatmaps show a visual representation of the proportion and time visitors spend scrolling down the page before they navigate away. They confirm if your page is encouraging users to go below the fold and what proportion of visitors see each section of the page. 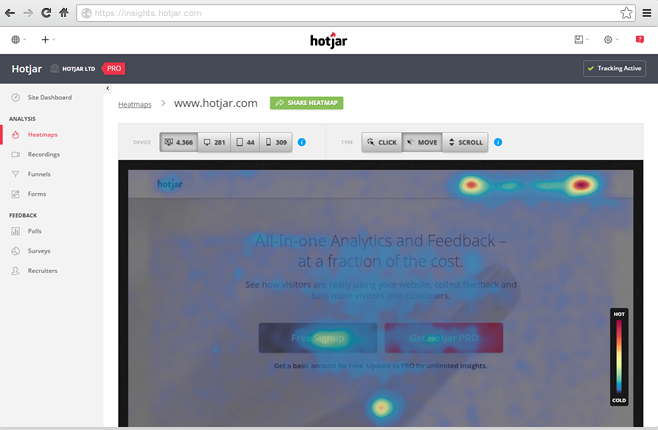 Attention heatmaps are similar except they are configured to show a visual representation of how long visitors spend on each part of the page. Knowing the drop-off rate of visitors as they go down the page helps you understand how much visibility different elements of your page are receiving and whether you need to move or change content on the page. Session replays are probably the most underutilised feature for conversion rate optimisation. They allow you to watch video recordings of individual user sessions to gain a better understanding of how visitors interact, scroll, click and navigate on your site. Examine real visitor behaviour that is not inhibited by test conditions and will allow you to identify areas where sign-posting, information architecture and navigation are sub-optimal. However, as it’s very time consuming to watch one video after another this feature is not used as much as it should be. So, make sure you schedule time into your diary to regularly view some session recordings and give access to as many people as you can. You will be surprised what you can learn about user behaviour with this feature. Most tools offer advanced search filtering to allow you to find videos of customers who complete or drop out of pre-defined or post-defined business process, scenario or funnel. This can include registration form or check-out abandonment. This is a must for any website that has any type of registration or information collection process. Form analytics provides metrics of how effective and easy to complete your form is and gives you a breakdown of each field within it. Typically form analytics allow you to measure the overall completion rate of your form, abandonment rate, engagement rate, time from start to form completion, time spent in each field, which fields are most often abandoned, which fields are most frequently left blank when the form is submitted and what order are fields filled out. You should also be able view session recordings of visitors completing or abandoning your form. Step 6: Voice Of The Customer Feedback. Your most important source of feedback on the performance of your site is your visitors. Your site is designed for them and so their expectations and understanding of your site are paramount to conversion rate optimisation. Whatever you do though, don’t use focus groups as this is an online experience and it is important that you retain that context. The best time to ask people questions about your website is when they are navigating their way around it and can provide an immediate and accurate view of what they think about it. The human brain is notoriously poor at recalling details after an event, so concentrate on people who are browsing to understand the issues they face when trying to complete a task. There are many online voice of the customer tools such as Surveymonkey, Feedbackify and also visual analytics supplier HotJar. These tools enable you to place a widget on your site to ask visitors to participate in surveys. People come to a website with a task in mind and so you should aim to use these tools to discover more about what they are trying to achieve, whether they completed their objective in full and what barriers they hit during their user journey. This should help you generate ideas for conversion rate optimisation and may support your earlier heuristic analysis. Carrying on with the theme of capturing feedback in the moment of the experience, exit and abandonment surveys are also powerful ways of gathering insights about a specific event. Whether they are about close their browser or have abandoned their basket invaluable insights may be gleaned from engaging them with a feedback form at this critical moment in the user journey. The great thing about a live chat facility is that it can allow you to respond to visitors in real-time and so can have an immediate impact on the success of your conversion rate optimisation programme. You can also use it to gather voice of the customer feedback. This could be as simple as asking your chat hosts about what visitors have most problems with or use it to specifically engage in qualitative research. Give your chat hosts a few simple open ended questions to ask visitors on certain pages or processes and see what they come back with. You will be surprised how keen visitors can be to give feedback to someone who is keen to listen. For recent customers where you have their email address you have the advantage of being able to send them links to a survey. As they are relatively new customers focus on understanding their perception of your value proposition. What attracted them to your website, what do they see as its strengths, and which competitor’s sites do they also visit or buy from? 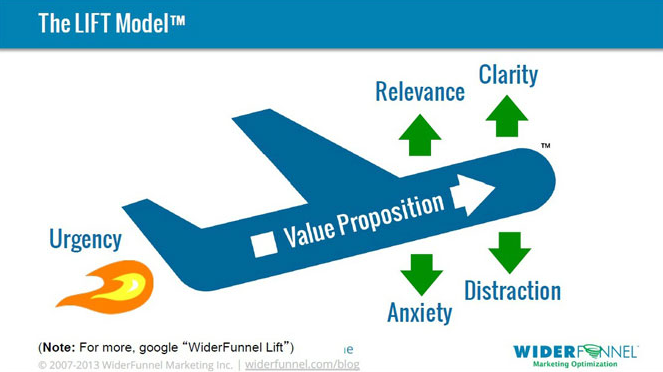 This can improve your understanding of what areas of your value proposition may attract new customers to your site. The key thing to remember about surveys though is to ensure you get a larger enough sample size to provide reliable data. Unless you get at least a minimum of 100 responses you may be in danger of putting too much weight on the views of a small section of your customer base. Try and collect some demographic data in your questionnaire so that you can compare the profile of respondents with your overall target audience. This will help you understand how representative your respondents are of your overall visitor base. As Steve Krug mentions in his classic book about usability Don’t make me think, one user testing your site is better than no users. However, for any successful conversion rate optimisation programme it is important you don’t rely on a single user to test your site. Don’t rely on people in the office to test your site as there are likely to be too close to your website and probably won’t be representative of your average user. If you decide to recruit people to do usability testing in a lab or meeting room make sure you observe and listen to what people say, rather than asking too many direct questions. People naturally post-rationalising decisions they make, but this won’t necessarily reflect how they behave in reality. There are many online usability testing tools that allow you to recruit people remotely, whether to evaluate a new design or your existing website. It’s important here to give respondents a suitable task to complete so that you have a clear understanding of the context of their feedback. 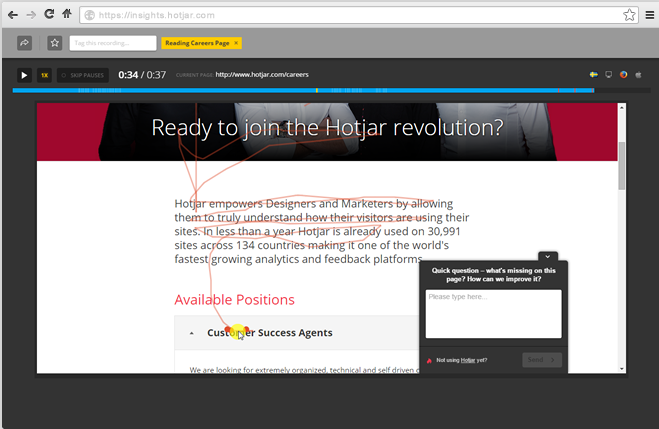 You can use a tool such as Hotjar to recruit visitors yourself and then arrange to share screens via Skype. Alternatively you may prefer to employ an online usability provider such as UserTesting.com to recruit and conduct the research for you. There are also companies such as UserZoom.com who will provide a comprehensive suite of usability services from card sorting to help with website architecture to full site usability testing. If you prefer to watch videos of your real users talking about your website or evaluating new designs you may want to consider Whatusersdo or UserBob. Video can be very powerful with your stakeholders to bring issues to life from the user’s perspective. Step 8: Evaluate & Prioritise. Any conversion rate optimisation programme can live or die on how resources are prioritised. So it’s important that you list all your ideas, issues and opportunities and place each of them in one of five buckets. 1. Test: Where there is a clear opportunity for a conversion rate optimisation experiment. You may have some strong hypothesis, but if it’s not a no brainer for everyone you may require evidence to get resource to implement or to convince colleagues that it will increase conversion significantly enough. Where the idea affects a business critical process (e.g. check out) you should test it to manage the risk that it could reduce rather than improve conversion. 2. Measurement: Where you find problems in your analytics and reporting that mean you can’t track everything you need for evaluating the performance of your website. 3. Create a hypothesis: You’ve identified an issue with a page or a journey but there is no clear solution to the problem. This will benefit from gathering more data and collaborating with other people in the organisation to generate hypothesis that can form the basis for a test plan. 4. Implement: This may be a no-brainer or a small opportunity to improve conversion. Where there is little, if any, risk to conversion and it requires little effort to fix then you are best implement it rather than waste valuable resource testing it. 5. Investigate: Where you are not sure what the nature of the problem is or you need to do more testing to better understand the journey. This will often also require more data collection, whether it is web analytics or Voice Of the Customer. Next we undertake a process of prioritisation to ensure your conversion rate optimisation programme uses resource effectively. It’s essential that it has the most impact on revenues or other success metrics. This will help your ROI as you begin with the issues that can have a big impact and leave the less salient ideas for another day. I use the Widerfunnel approach of evaluating issues on the basis of PIE (Performance, Impact and Ease). See my post on how to prioritise A/B testing ideas for details, but you can use these criteria for quickly rating each item on a scale of 1 to 5. Performance is about how bad the page is now, is there potential for a big improvement. Your heuristic analysis should have identified these pages as having fundamental problems. Importance is measured by the number of visitors going to this page and the cost of traffic that you send their. Ease is about how much time and effort it will take to fix it or develop a test variant. If it’s going to take a number of months to get the resource and it could be difficult to implement then you need to give this item a lower rating so that you can get on with some of the important but easy things to fix. The eight steps outlined above will ensure you have a systematic approach to conversion rate optimisation and will improve your chances of success. You should now have many potential items to fix, test or investigate. This will allow you to increase your test run-rate and focus on the things that really have an impact. Repeat this process every few months depending upon how quickly you get through your list of actions. I would also present a summary of your conversion rate optimisation strategy and findings to your senior stakeholders. This will help-ensure you have buy-in from them. It is also valuable to present this if you plan to test anything that challenges existing brand values or other politically sensitive aspects of the site. Thank you for reading my post. I hope you found this post useful and if you did please share using the social media links at top and bottom of this page. 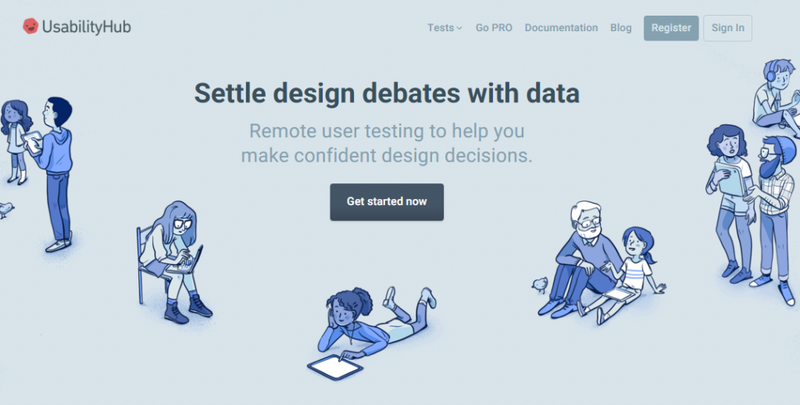 Peep Laja outlines a comprehensive process for website optimization in his post ‘How to come up with more winning tests using data’.